The Escondido Sports Center's roller hockey arenas are nothing less than first class. You'll enjoy playing competitive hockey on two official-sized arenas with professional dasherboards, Plexiglas® player and penalty boxes, scoreboard, elevated grandstands, superior lighting, and covered with roofs that have powerful fans to allow for climate-controlled conditions. 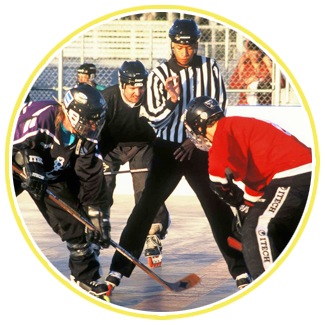 We offer year-round leagues for all ability levels. Pickup hockey and tournaments are also available. Our leagues are organized with the players in mind. We strive for parity in each division, maximizing your enjoyment. You'll enjoy a fun and rewarding experience at an affordable price.